The wool binding on the edge of this rug has worn away due to heavy wear. The life of the rug’s binding can be prolonged by rotating the rug twice a year to avoid patterns of wear developing on the rug. The restored binding not only looks better than the original, but the new foundation adds strength and stability to along the edge of the rug, so it is straighter and smoother as well. This restoration will last for many years to come.Whether you want to repair a damaged binding or create a brand new binding, trust our rug technicians to provide you with the results that suit all your needs. We work to make you happy with our large options of binding service. 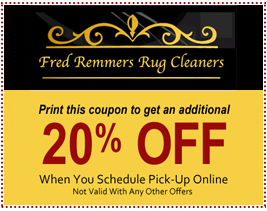 When you choose Fred Remmers Rug Cleaners for your binding service, we give you a comprehensive service that starts with a professional inspection. 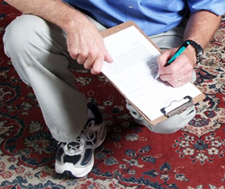 During the initial inspection, our professional rug cleaners map out a service plan using all of the information gathered to help us deliver the best binding possible. 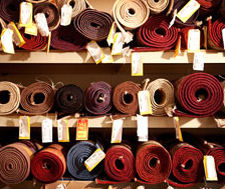 After the inspection, we take your rug to our off-site service warehouse to maintain quality control. We perform all binding services by hand using premium products. 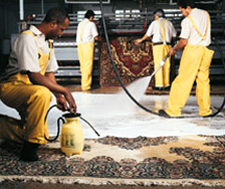 We finish your binding service with a quality clean to seal in the work and leave you with a fresh clean rug. Get started today, give us a call. 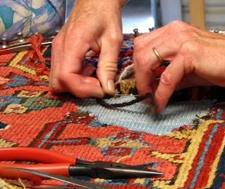 You can also view our other rug repair services while you’re here!